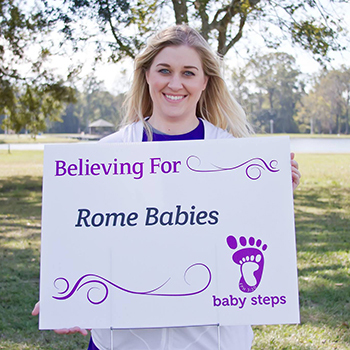 Our online support group leader, Lindsay, after years of unexplained infertility, was asked Is Jesus Enough? She had to say... No. This is her story. You can reach her at lindsay@sarahs-laughter.com. Sarah Troutman grew up in the church. But after her third miscarriage, she was angry; she was done. "Nobody talks about losing babies. Nobody talks about how painful it is." This is her story. Sarah Herman always wanted a lot of children. She got pregnant easily, and delivered healthy babies. And then one day she woke to the news that doctors had performed emergency surgery to save her life: a hysterectomy. This is her story. Beth talks with foster mom Bailey Hughes about her misadventures searching for a diagnosis ("Our infertility story started on our wedding night"), the emotional landscape of fostering ("My pain is worth it if they can gain the love of a family"), and her advice for anyone considering becoming a foster parent.